WILKES-BARRE, PA — While Shirley Cook sat watching her grandson Jeremy being sworn in as one of the 11 new fire department recruits, she had tucked into her purse a black-and-white photo of her grandfather, who was a city fireman in the 1800s. Cook retrieved the photo from many she has at home and planned to make a copy for her grandson. The equipment has since changed and so has the training that Jeremy Cook and the 10 others will undergo to be able to do their jobs of fighting fires, rescuing people from the Susquehanna River, delivering babies or facing whatever situation they’re presented with on the more than 10,000 runs annually. As promised, Berks County Commissioner Chairman Christian Y. Leinbach issued a report Friday detailing progress made since a Jan. 18 summit on crime in Reading and Berks. City-county cooperation: A meeting between city and county officials has been set for March 11 at 1 p.m. in City Council chambers. The meeting will be open to the public to observe, but will not be a forum for public comment, Leinbach said. Editor’s note: Look what happens when people get together to work on a problem! Reading needs to be the focus. The cause of curtailing violent crime in Reading and Berks County got a push forward Friday afternoon as more than 100 public and private leaders conducted a long-awaited crime summit. Gov. Tom Corbett and U.S. Sens. Bob Casey Jr. and Pat Toomey were among the participants in the closed-door session held at the Crowne Plaza Reading in Wyomissing. Lasting two hours and 15 minutes, the summit produced a five-point set of initiatives that county officials pledged to pursue immediately. Those ranged from strengthening county-city cooperation to a fact-finding trip to learn about a community program in Altoona. Berks District Attorney John T. Adams and Christian Y. Leinbach, county commissioners chairman, were at the center of preparations for the summit. The city won a $4 million federal grant on Thursday to hire 30 new firefighters over the next two years, replenishing a force that was shrunk by budget cuts the past several years. Although Fire Chief David W. Hollinger and other city officials were elated at the news, they said they’re still working out the details of how the grant will be used, when the new recruits could be hired, and what happens when the grant runs out in two years. The announcement came in separate statements by U.S. Sens. 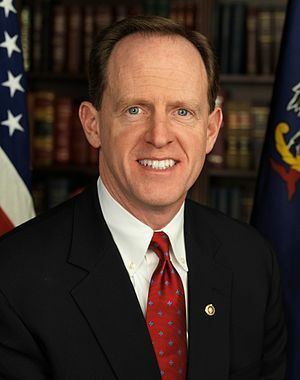 Pat Toomey and Bob Casey Jr., who had written the Department of Homeland Security supporting the city’s application for the Staffing for Adequate Fire & Emergency Response grant. Editor’s note: This is great news! We think Mark Flanders needs to be there too since Pottstown’s problems are a result of drugs and crime moving between Reading and Philadelphia. Months of talk about scheduling a crime summit in Reading culminated Monday afternoon when staffers of Gov. Tom Corbett said he would be available to attend Jan. 18, and local officials immediately set about planning the summit. Mayor Vaughn D. Spencer said the inability to pin down a date with Corbett had slowed planning. The original call for the summit was issued in May in a front-page editorial in the Reading Eagle. “We finally got a date,” Spencer said. Invitees will include all federal and state lawmakers who represent Berks, county commissioners, city Police Chief William M. Heim, representatives of federal agencies like the FBI, Immigration and Customs Enforcement, and the Bureau of Alcohol, Tobacco, Firearms and Explosives. 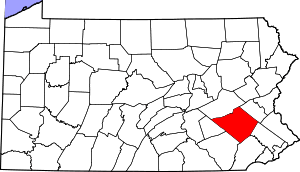 Editor’s note: While you are at it, include Pottstown. The crime rate is just as bad as Reading! As Berks County residents digest the latest spate of violence in Reading, retailer Albert R. Boscov has taken center stage in the protracted effort to pull together a crime summit. Boscov said Wednesday that it was crucial for both federal and state officials – preferably Gov. Tom Corbett – to take part in the proposed group discussion of Reading’s crime problems. He said both U.S. Sens. Bob Casey Jr. and Pat Toomey have agreed to take part and that he was working to secure Corbett’s participation. “I think he will come,” Boscov said. A spokeswoman for Corbett said Wednesday night that he had not been invited to a summit but was open to the concept. Not so long ago, Pennsylvania stood unquestionably as a swing state, one presidential candidates of both major parties thought they could win. Democratic candidates knew they had to win the state to get elected. Republican candidates knew that if they won it, they would likely be president. Maybe Republican nominee Mitt Romney still really believes he can win Pennsylvania, but with the decision by the presidential campaigns and their affiliated super PACs to stop advertising on television in Pennsylvania after Labor Day, the state is President Barack Obama’s to lose. 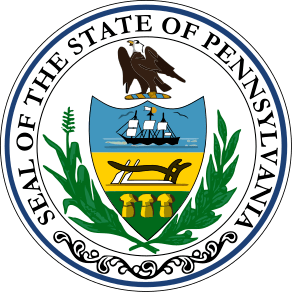 As a result, the Keystone State is second-tier in importance behind states such as Florida, Ohio, Colorado, Virginia and even Wisconsin, which hasn’t voted for a Republican for president in even longer (1984) than Pennsylvania (1988). The Specter-Sestak battle has become a nail-biter. However, Specter is a more well-known commodity and that could push Specter over the edge in Tuesday’s primary if turn-out is high. Pat Toomey, the Republican contender has a slight lead over both Specter and Sestak. Allegheny County Executive Dan Onorato is leading the Democratic hopefuls for governor with 27% The rest trail miserably with less than 5%. That includes Joe Hoeffel, Montgomery County Commissioner. Tom Corbett is the leading Republican contender for governor with a commanding lead over challenger Sam Rohrer. 45% of Pennsylvanian’s support (in varying degrees) the Tea Party Movement. 55% of Pennsylvanian’s think our state is headed in the wrong direction! Rendell’s popularity is 41% favorable, 47% unfavorable. 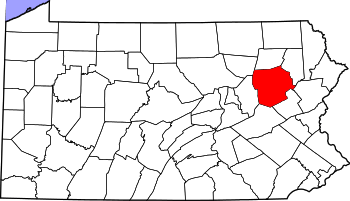 Eight in ten Pennsylvanian’s support the legalization of marijuana. 50% support the privatization of the state liquor store system, while 37% are opposed to the change. 69% support the continued practice of electing judges rather than appointing them! Results are based on a poll conducted by Franklin & Marshall College and the Daily News. A large percentage of voters are still undecided how they are voting. There are many key races and items for consideration. Get out and vote!